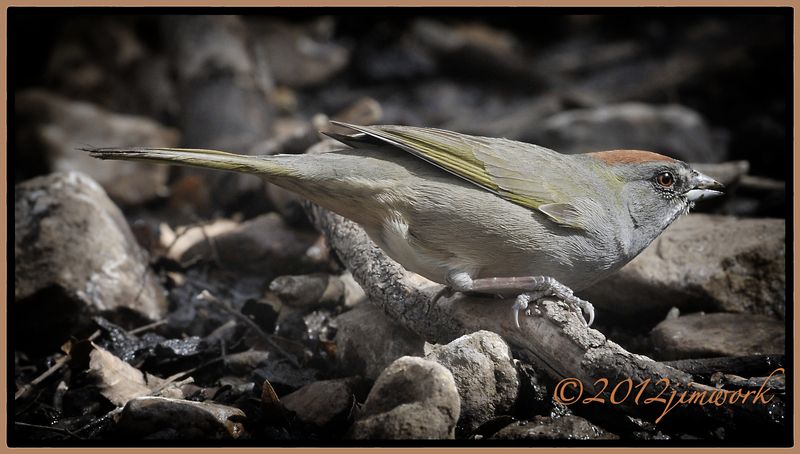 This Green-Tailed Towhee (Pipilo chlorurus) was taking in water at Sam Nail’s old home-site in Big Bend National Park. I had never seen one before (hey, at my age it is cool to have found something new-bird watching) and there were only one or two of them amongst all the many birds we saw that day. The Green-Tailed Towhee is the only entirely migratory towhee, he is also the smallest towhee. His name translates to “colorful chipper”. I was much more impressed with his color than his song. A group of towhees are know as a “tangle” or a “teapot”.